New Members can submit their information HERE. The Bull Gator Program is a comprehensive membership program for the University of Florida's top level of annual athletic donors. Gator Boosters, Inc. has the responsibility of administering this program. How Much Must I Contribute? Bull Gator membership requires an annual contribution of $16,000 or more. The membership of the Bull Gator program is comprised of an elite group of individuals and businesses, from all over the country, who have one common bond- a love of Gator athletics and a desire to support the program. The funds contributed to the Bull Gator program, as with all money contributed to Gator Boosters, Inc., are used for two purposes. 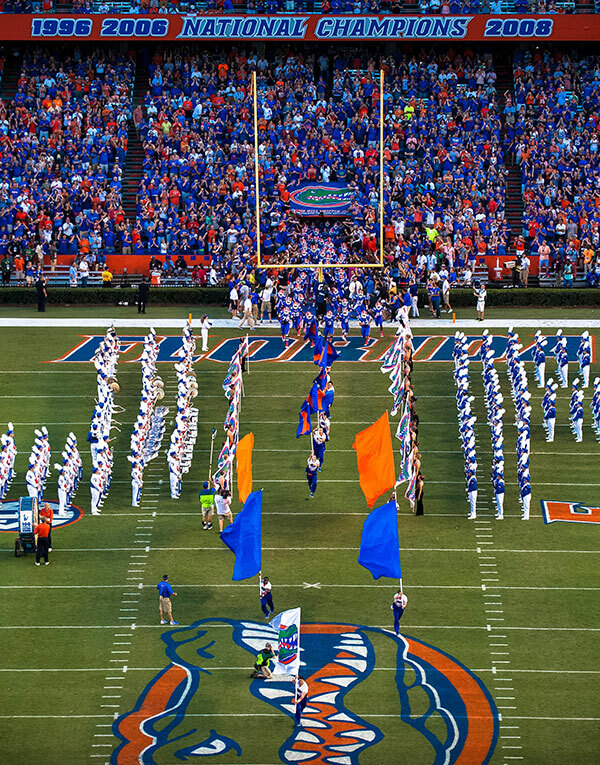 With the Gator athletic program receiving NO STATE FUNDING, your private support is crucial to the various Gator athletic teams in their quest for conference and national championships. Without this support, we could not compete successfully, as we do now, with the nation's finest institutions. Each Bull Gator receives two (2) parking spots - one reserved spot and one spot in a reserved lot. You can join any time, but Jan-March is the best time. This way you are included before football seat assignments are done in late April. If I request that my season ticket assignment be changed will that affect my membership? Possibly. It all depends on how your seats were originally assigned. Our system is predicated on "whatever you did to obtain your seats you must continue to do to retain your seats." If your seats get relocated based on your Bull Gator priority, you must always contribute at the Bull Gator level to retain those particulars seats. If I have more than 4 Club seats will my contribution be higher than the basic Bull Gator contribution of $16,000? Yes. What your contribution will be will depend on how many Club seats you have. Where will my parking be located? We have many lots where we park Bull Gators. Your reserved parking pass will be assigned in lot as close to the stadium as possible based on your Gator Booster priority points. Your secondary pass will be in a garage at the intersection of Lemerand Drive and Archer Road. Paul joined our staff in 2006 and is responsible for managing all aspects of membership to Gator Boosters, Inc. including the Bull Gator Program, Luxury Suites and Premium Seating. Paul is our staff liaison regarding away game travel packages purchased through Total Sports Travel. On game days in the fall you can find him in the Touchdown Terrace premium seating area attending to the needs of our boosters. 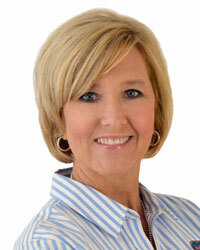 Paul also assists with Major Gift fund-raising, including capital projects and scholarship endowment. Paul is a proud Gator, graduated from the University of Florida with a B.S. 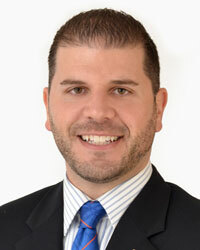 in Sport Management, and recently completed his Master’s Degree in Sports Administration from Ohio University. 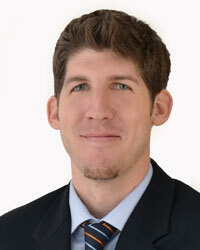 Kyle joined the Gator Booster Staff in August 2012 and oversees the premium seating areas for football and basketball. On game days in the fall you can find him in the Skybox lobby attending to the needs of all the boosters throughout the skybox tower. Kyle also assists with the Annual Giving program and the Hall of Fame banquet. Kyle is a native of High Springs, FL and a proud Gator. He graduated from the University of North Florida with a Bachelor's Degree in Sport Management and from the University of Florida with a Master's Degree in Sport Management. Contact for address change, membership perks (ring, plaque, etc.) & tax receipts. Point of contact for all Bull Gator inquiries. Please return this form only if requesting a change in your current season ticket assignment. We want to ensure that your game day experience is enjoyable and would like to give you the opportunity to request a change in your current seating. Please be as specific as possible, as we are not able to call everyone before a change is made to your seat assignment. Please note that the request you submit is specific for the 2013 Football Season. THE DEADLINE TO RSVP HAS PASSED. Gator Boosters uses the Loyalty Point System to prioritize between donors who are in the same club level when parking requests are reviewed. Parking requests are reviewed first in contribution level order, and then by donor rank within that level. Thus, a $4,800 "Scholarship Club" member with a rank of #6,000 would be assigned or improved before a $3,100 "Scholarship Partner" member with a rank of #2,000. The following club levels receive a parking pass as part of their membership…Bull Gator, Grand Gator, Scholarship Club, Scholarship Partner as well as "grandfathered" Fighting Gators. 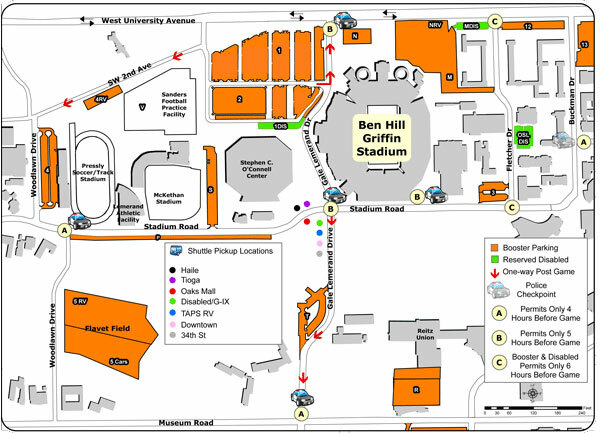 CLICK HERE to read a description on each game day parking lot. | CLICK HERE for additional parking and game day information. Thank you to those that provided us with their parking preferences for 2015. The deadline to submit your information has passed. While we cannot guarantee that your request will be granted, we will definitely review each account. Parking requests can only be granted based on what becomes available in each lot after the ticket renewal deadline passes. If you are currently happy with your parking space, there is no need to send in your info. This was basically for those looking to improve. We will open up this process again next January.